Winner of the Melbourne Prize Best Writing Award 2018. Shortlisted for the 2019 Stella Prize. The past shapes the present - they teach us this in schools and universities. But the past cannot be visited like an ageing relative; the past doesn’t live in little zoo enclosures. Half the time, the past is nothing less than the beating heart of the present. So, how to speak of the searing, unpindownable power that the past - ours, our family’s, our culture’s - wields now? Brow Books is a local, not-for-profit, literary organisation that promises to publish ‘writers whose work sits in the literary margins’. 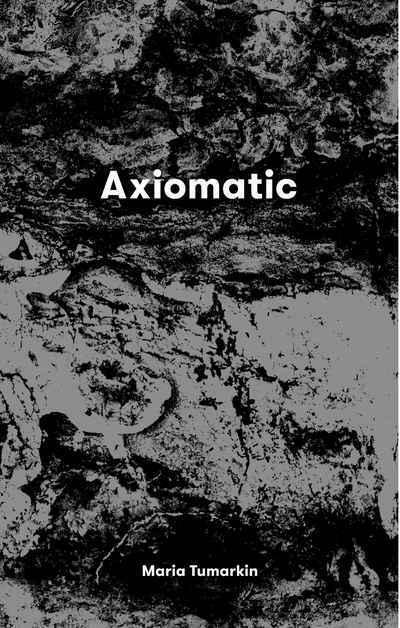 Axiomatic uniquely combines narrative, reportage and essay and delivers unexpected power and beauty. Maria Tumarkin, whose previous critically acclaimed books have dealt with violence, intergenerational trauma, history and politics, here takes five axioms and interrogates their value as self-evident truths. ‘Time heals all wounds’, ‘history repeats itself’, ‘those who forget the past are condemned to repeat it’, ‘you can’t enter the same river twice’, and ‘give me a child before the age of 7 and I’ll give you the (wo)man’ are all exposed for their inability to reflect the complexities of real life. The subjects here are dark – teen suicide, drug addiction, the Holocaust – but Tumarkin’s original storytelling style sheds light in unexpected places while not shying away from the shadows. Particularly moving is the chapter that introduces Vanda, an indefatigable community lawyer in Melbourne who represents the dispossessed, people ‘who live their lives on a highway where they are repeatedly hit by passing trucks’. In another chapter we meet a grandmother who was jailed for kidnapping her grandson, a complex and heartbreaking story. This is a highly original collection unlike anything I’ve read by an Australian author. Tumarkin’s writing style is unflinching and unique and her insight into human behaviour is extraordinary. I very much look forward to what Maria Tumarkin and Brow Books will bring out next. We need more writing like this on difficult topics from the margins of the society.